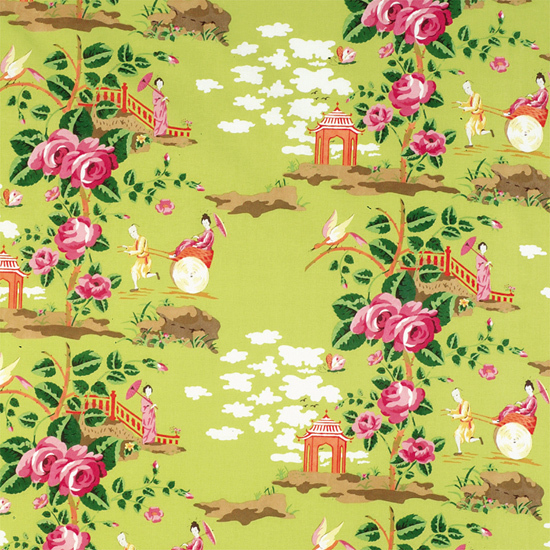 It's been a while since an amazing Chinoiserie fabric has stopped me in my tracks. 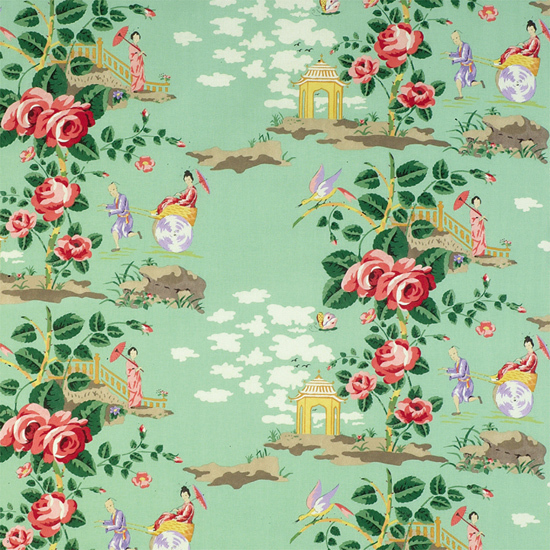 At this point, I feel like I know them all...but then I came across this China Rose chintz from Scalamandre. If I've seen it before then shame on me for not paying closer attention. The colorways are spectacular. 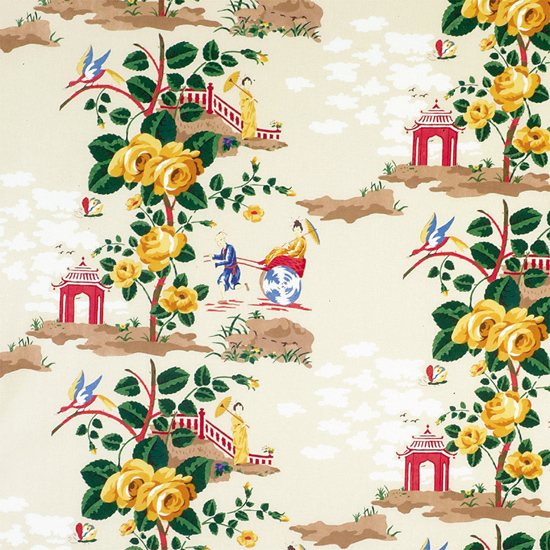 This chintz gives Le Lac a run for its money in my book. 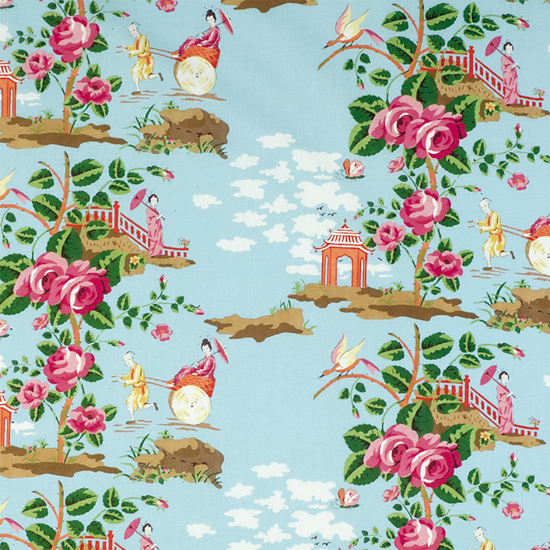 And at $125/yard it's palatable in terms of luxe fabrics. I could part with the cash for one yard and have a set of amazing pillows that would make a room. The trouble would be deciding which color to use! can't believe an old ebay cruiser in the fabric sec has missed this one. 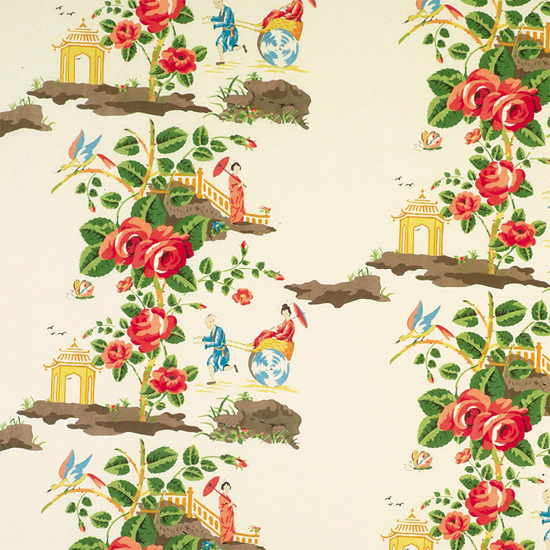 I first saw it in the aqua colorway and almost bought it for a chair; I always call it stairway to heaven. Its almost too pretty if that's possible. love the one with the yellow roses. So much.